I love reading other peoples 'round ups' of the past year. It gives you an idea of what you've missed, and also a little insight into peoples personal goals and aspirations. 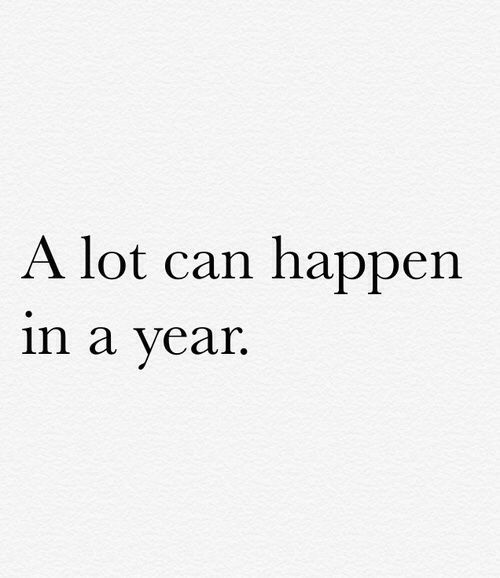 My 2014 story started off OK, and then got much worse! The start of 2014 started off so well. I moved into a beautiful new home, with fantastic house mates in January. I was just settling in, before my car accident on the 4th February. Although not badly injured, I came away with a busted car and something wrong with my neck. Fast forward 11 months of physio, MRI scans, X-Rays to be told the accident and subsequent whiplash had aggravated a cyst in my head, and this meant that even now I have loss of feeling down my left side. I have really bad pain in my shoulder, and to be honest with you after months of taking medication I have lost a majority of my hair. Through months of pain, and with the help of my VERY ~understanding boss and help from my close friends I have gotten better, but now I have to have injections in my shoulder to ease this discomfort and the whole saga continues! I am lucky, I could of walked away with worse injuries than I sustained but it's knocked me back in 2014 and I haven't been able to go on holiday, I haven't felt like doing ANYTHING! The thing is with me, I don't moan about what's happened. The accident wasn't my fault! I don't tell people how much pain I'm in, I just try and get on day to day and then my body tells me otherwise. I am still having physio, luckily paid for by my insurance. Without it, I'm unsure as to how I would of coped. When there's something wrong with your head and neck it affects everything - your appetite, mood, sleep - you name it. So onto the injections in January 2015, and lets see how they help! Other than that things with my blog have gone from strength to strength. Making more friends through blogging and working with the best PR agencies are some of my 2014 highlights. Job wise - we have had to go through yet another restructure, which has been hard and I have been looking for a new role and I've had some interviews, but nothing has caught my eye and with my health not at its best I don't want to start somewhere new, not feeling tip - top. I don't ask for much year to year, I just ask to be happy and healthy and enjoy the little things. Continue blogging, and reaching new goals with my little piece of the internet! Not much this time around, but you can read my past 2014 and 2013 'Fresh Start' posts to see what I wanted to do previously. 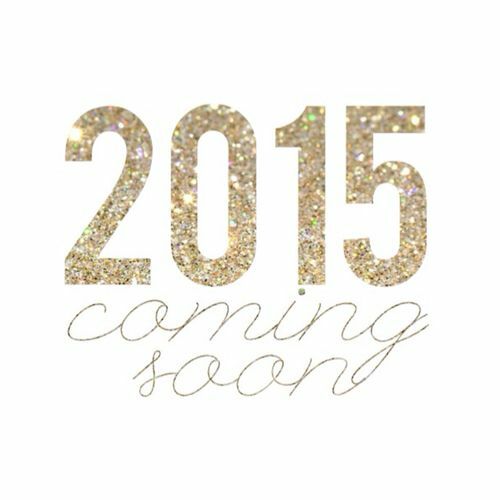 What is on your list for 2015? It's nice to read about your year. Sorry to hear about your car accident and I hope your health improves in the new year! Thankyou for your support and I wish you all the best. Happy New Year! Karen. So sorry to hear about your accident, I hope you feel better and back to yourself soon! 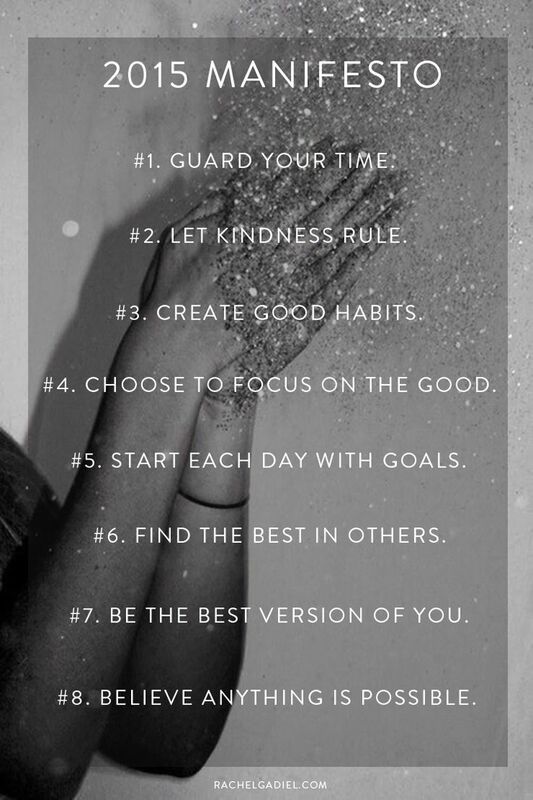 Loving the 2015 manifesto, they are so true - I hope that you had a very happy new year and all the best for 2015!